Crude oil prices hit record levels on Friday, with leading investment bank Goldman Sachs warning the cost of a barrel could eventually top $100. Goldman Sachs said that the oil market may be in the early stages of a "super spike', which could push prices as high as $105 a barrel. It said strong global demand, allied to potential instability in oil producing countries, could inflate prices. 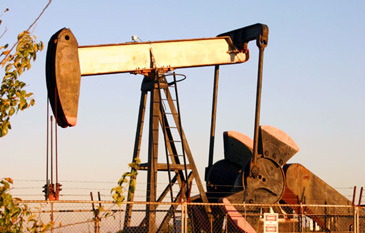 US light crude rose as much as $2.40 to $57.70 a barrel in New York. The previous high was $57.60, set on 17 March. In late, trading it had slipped back to $57.40 a barrel. In London, the benchmark contract of Brent crude climbed $2.22, or 4.1%, to $56.51 a barrel. The last time prices were at these levels, economists highlighted the potential dangers to global economic growth and inflation. 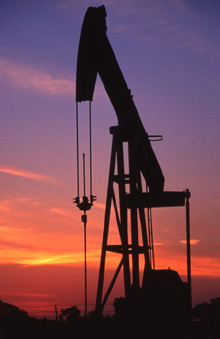 Oil production cartel Opec was prompted to lift production quotas by 500,000 barrels a day. In its report, Goldman Sachs said the possibility of political turmoil in major oil producers such as Saudi Arabia could lead to a significant rise in prices over the long-term. The firm has raised its average US price forecasts for 2005 and 2006 to $50 and $55 a barrel from $41 and $40 respectively. "Oil markets may have entered the early stages of what we have referred to as a 'super spike' period," said Goldman Sachs analyst Arjun Murti. This would result in "a multi-year trading band of oil prices high enough to meaningfully reduce energy consumption and recreate a spare capacity cushion only after which will lower prices return. Prices have remained above $55 a barrel in recent days after data showed that US gasoline stocks fell last week while demand was 2% higher than this time last year. Markets are also nervous about disruptions to supply after the recent fatal explosion at BP's largest refinery in the United States and a power failure which caused the closure of a Venezuelan refinery on Thursday. However, other analysts said it would require a major disruption in supply to cause a spike in prices of such magnitude. "The market is still of the mind that supply/demand is still very tight but the fundamental situation is not nearly as bad as what current oil prices would suggest," said David de Garis, an economist at ANZ Investment Bank.